I was looking into it, and I thought it really deserved some attention--mercury vapor street lights. There seems to individuals waxing nostalgic about them and how just wonderful they were. Well they are still being used on a wide scale in Japan. Look at, "The Beauty of Mercury Streetlighting"
I love the sort remarks that switching HPS somehow created skyglow. Well I got news. The only difference between Tokyo, a city predominantly lit with mercury lights, and an average American city is that Tokyo's skyglow is an odd blue green. I also just love the remarks equating HPS to "crime lights", *sarcasm*. Patric I'm curious, have you ever seen a 3000k cobrahead, be it induction or led, in person? The "Rayleigh Effect" is the reason the sky is blue... its because atmospheric moisture tends to scatter more blue light than light of any other color. As it turns out, this also works at night, and is the reason blue-rich light is about 3-4 times more of a "polluter" than redish lighting like sodium. Simply put, take a mercury light and a sodium light of the same intensity, and the mercury light will easily produce more skyglow. Chicago has a very orange-yellow-ish glow at night that is very harsh. Obnoxious really. Tulsa's is more of a mix that doesn't seem to intrude quite as much. It could still use improvement. We could (should?) start trying some of the newer lights in areas to see how they work - as experiment or test sites. No point of going all in until there are verified, tested results. This would be modest cost and reasonable time. You might not be surprised to discover there are many cities further ahead of the curve than we are, who have gone "all out" for years that we can draw data from. Tucson has been a Tulsa-sized prime example for decades. The proposed Tulsa zoning draft calls for shielding, which would be a dramatic step. If you add my proposal to include new and replacement municipal lighting in that, it would vastly improve ones ability to see clearly on the streets as well as in the skies. Shame we couldn't work with the fair to get lighting venues set up for different areas of the fair to get some feedback from people during the fair. Kind of like the themed "lands" at Disney. Wonder if that short a run would provide any feedback on people's reactions on everything from food choices/consumption rates (easy to track by revenue to fair), on to frequency of 'disturbances' under different lighting schemes. Maybe this has already been done in other cities, but we could satisfy our "show me"-itis. Have it indoors (IPE building) as well as outdoor to see if there is a different response. Cities that rush into LED conversion projects face a potentially sharp public backlash. Residents of cities across the U.S. have complained about the harsh quality of new (blue-) white LED streetlights. 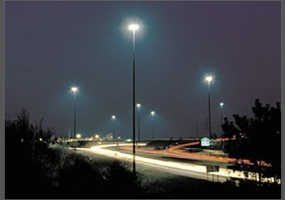 In some cases residents have demanded the removal of new lights at great expense to the taxpayer. Witness the cautionary tale of Davis, Calif.: After the city installed 650 new white LED streetlights last year, resident complaints resulted in the lights' complete replacement at a cost of $350,000 to taxpayers. In the name of fiscal prudence (Phoenix, AZ) is rushing toward the installation of bad street lighting on a schedule that allows for no compromises. Its preferred lighting fixtures are overly bright, create significant glare threatening public safety, and emit unnecessary amounts of harmful blue light into the nighttime environment. While we applaud Phoenix for installing streetlights that direct light only down, the blue light emitted by new white LED lights will actually worsen light pollution. Badly designed outdoor lighting creates glare that can temporarily blind motorists, compromising public safety and making our roads more dangerous for pedestrians and bicyclists. This problem is even worse for older drivers. Poor outdoor lighting has also been shown to diminish the security of people and property, making cities less safe. Finally, light pollution wastes energy, contributing to climate change and making our country more dependent on foreign sources of fuel. The color characteristics of the proposed Phoenix street lighting system are consistent with previous International Dark-Sky Association guidance we now know to be inadequate. 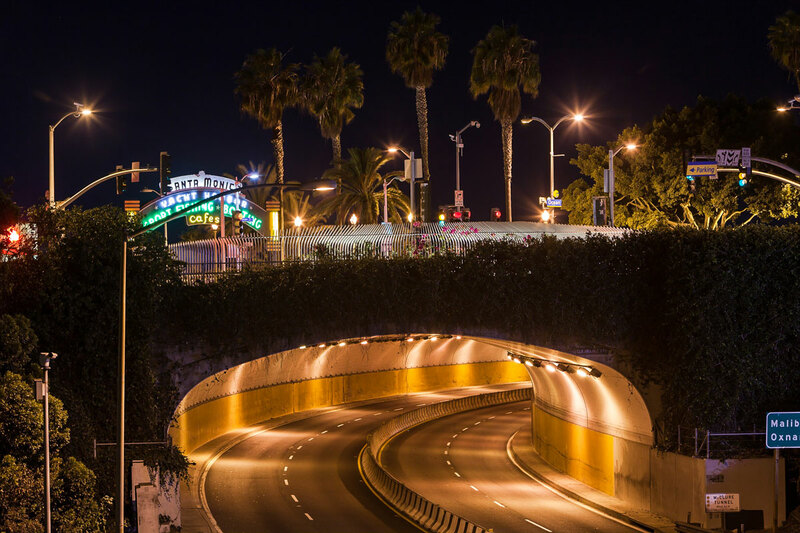 Scientific understanding of the environmental impacts of blue light at night is advancing rapidly, and last fall we updated our lighting recommendations to further reduce the amount of blue light emitted into the night. New lighting products minimize the emission of blue light while providing good color rendition, a quality identified by the Phoenix Police Department as key to achieving its public safety goals. The Department's concerns can be properly addressed if the city invests time into finding the right solution. Reduced street lighting at night does not lead to an increase in crime or car crashes, a report suggests. Summary: Street lighting can serve a good purpose, once we discard the urban legends and marketing hype and understand how it actually works and what we actually need. Speaking of blue rich white light have a look at some of these pics of refitted cobraheads with blue rich white light. I know HPS seems to be maligned, but the blue rich leds are soo unsightly. It's to bad we can't have more of this. The irony of this story (where people complain the city is helping criminals by not installing lights that chase away crime) is that it was originally a story about thieves stealing copper from streetlights. Two things come to mind. Who is buying this copper and why is it so easy? With public safety, Vision and river task forces’ work more or less complete, Tulsa city councilors worried about dark spots along streets and highways have started a street lighting task force. Streets and Stormwater Director Terry Ball told them Thursday crews and contractors are making progress on backlogged repairs and new damage. In all, 155,000 feet of copper wiring have been stolen from city street lights. Streets and Stormwater Director Terry Ball said that’s made them repurpose Improve Our Tulsa funding. "The 2014 money, the way it was identified was try to come in and start fixing the system and fixing some of the damages that we already had," Ball said. "Well, now we're having to take this money and fix damages that we hadn't planned on. So, in the background, we still have about $1.5 million of repairs." Ball is hoping Improve Our Tulsa funding for the work can be moved up from 2019 to next fiscal year. Another thing he’d like to do is get electrical meters into the light system so the city pays only for the electricity it uses. "We're paying a fee, the same fee, whether the lights are going or not, and one of the things we're wanting to do with this is to start breaking these light systems up and meter them," Ball said. "And that way, we only pay for the actual electrical usage that we have." The long-term plan is to upgrade to LEDs, which use less energy, last longer, and can be controlled and monitored remotely. "Each one would have a sensor on the head that actually, if somebody came and cut a circuit, it would show you where that cut was made, and you could dispatch the police at that point," Ball said. City workers are replacing stolen copper wiring with aluminum, which is far less valuable as scrap metal. They’ve posted warnings for thieves, who still cut into the wires but haven’t stolen it. Some good news: Most of lights along the Gilcrease Expressway from Tisdale to U.S. 75 and along Highway 11 from Harvard to Yale are back on. Been evangelizing that since 1997, speaking to neighborhood groups, countless Councillors, peer-reviewed the IESNA Model Lighting Ordinance, drafted portions of the Form-Based Code as well as the old zoning code. You can find language I wrote in lightning ordinances across the U.S. but this party I wasnt invited to. I suggested to some members here in private conversation that our quickest and least expensive alternative would be to focus on high-mast lighting at interchanges and conflict points, instead of trying to maintain the increasingly expensive continuous, end-to-end systems more suitable for city streets. What some people call "moon towers" can be installed with cutoffs that keep the light out of neighborhoods, are less likely to be hit or vandalized, are safer (and cheaper) to maintain, and dont make expressways look like city streets you can just walk across the way "continuous" systems do. They would almost certainly be LED today, but not blue-rich LEDs (since warmer, more natural color LEDs that are indistinguishable from incandescent can be found anywhere these days). B) Randomly huge sections of lights just don't work. Why do I need my path day-bright to drive down a multi-lane highway? I've never got that. And why continue to build systems we seem incapable of maintaining. 2) I heard on the radio this morning that 30 miles of copper cable have been stolen from our street lights. With each light being 50 feet tall and having 3 wires, am I to assume that's 50,000 street lights? Surely not. Are they steeling the wire out of the conduits between the street lights? HOW? Also, what low-life metal scrapping facility is buying industrial copper cable from Billy-Bob with no point of origination information? 3) We pay a flat fee service for our street lights? Well damn. Forget steeling the copper, the real racket is in tapping into the power grid of the street lights and powering up your entire neighborhood. Apparently they'll never know! 4) Knock 'em down. Light up interchanges and some dangerous on ramps, otherwise my car comes with special lights so I can see where I'm going. 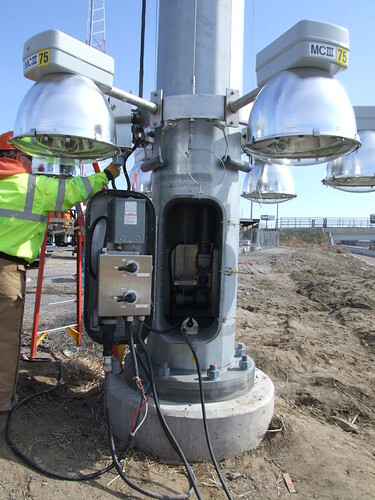 The city's franchise agreement with PSO includes a Municipal Street Lighting (MSL) rate that, lacking a meter, doesnt take into account whether or not the fixtures billed to the taxpayer actually work. Meanwhile, The Street Light Task Force met again to discuss how to pay for $2 million of new wire for existing expressway lights, and to streamline a way for residents to get new streetlights installed in front of their homes (but get taxpayers to foot the bill). Yours truly was not invited. $1 million of that is expected to come from the Improve Our Tulsa fund, which was intended to fix streets and bridges.